Director Robert Eggers does a great job of creating both the atmosphere and setting of the 17th century Puritan society in America. From the wardrobe to even the very dialect used by the actors, you do feel like you're taking a glimpse back into time. For the most part, the family in the story are the most intriguing highlight in the film. It's interesting to see how their religious convictions affect their everyday lives and decisions. (good or bad) You'll be more interested in the family "drama" than the suspected witch. Given that fact, this film gets points for being original and somewhat creative. I think it may also be a little misleading to believe that this movie is a "horror". Granted there may be a few moments that are dark and eerie, this film was more so disturbing than it was scary. There weren't really pop out, jump scare scenes, so you don't have to worry about dropping your popcorn. As I mentioned before, the film is original but that may hurt it more than help it. When a film gets classified as a horror, people expect to be terrified. This film sort of balances the line between trying to be a scary movie, but yet also a period piece. 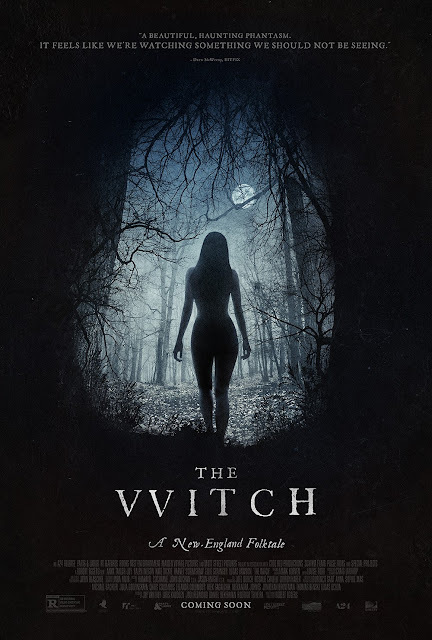 I suppose you could think of this movie as The Blair Witch Project taking place during the Salem Witch Trials in the late 1600s. I don't get the sense that this movie is going to appeal to the masses only because it may go against the grain of common expectations for traditional horror films. The film and its director does show some promise and originality, but this film isn't a home-run. I'd recommend watching this at home at most and save your money. I think more will be disappointed rather than satisfied if you're expecting to be scared out of your seat. You'll be more disturbed than scared. It's an Okay watch.